The locally-adjusted French sedan seeks to raise the bar on ‘premium’ in the midsize market to win back customers. A series of new car launches by local car manufacturers this year are heating up the family sedan market. 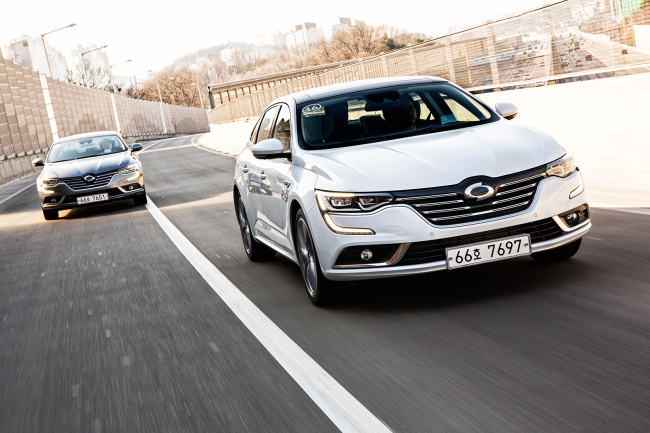 Renault Samsung, the local unit of French automaker Renault, jumped into the race last month by debuting SM6, the locally-adjusted version of Talisman, Renault’s premium midsize sedan.